Today I got A Blue screen and that lost my drawings, I used this image as an example. Paint.Net, Can you help me restore my paintings when I get a Blue Screen again? Cleared huge text formatting; can obnoxious to read on mobile. You need to work with Windows to solve the reason for the blue screen. Only then will you be safe. 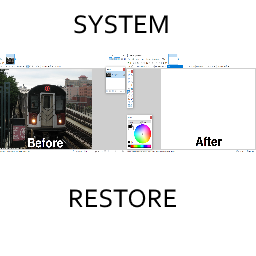 Since paint.net doesn't have a "restore document" feature, it is recommended that you intermittently save your changes while editing on your images.